Notes: Based on the manga by Mizusawa Megumi, which ran in (surprise) Ribon. Nonohara Himeko (often nicknamed "Hime-chan") is a tomboyish girl who loves playing sports, and has a crush on the class senpai, Daichi. One day, the princess of the Magic World, Erika, comes down to Earth to look for someone who resembles her. She finds Hime-chan and gives her a magic ribbon that can transform you into anyone you want. It also makes Hime-chan's stuffed animal, Pokota, talk and move! How will Hime-chan use this newfound power? 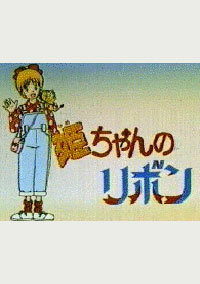 Hime-chan's Ribbon was one of the first digital sourcebed anime I saw (the first being, of course, Sailor Moon). This was back in the days when all digisubs were in .rm format, were copied from tapesubs, and had awful quality. Despite this, I enjoyed watching Hime-chan's Ribbon. Hime-chan's Ribbon is one of those old fashioned magical girl shows. Hime-chan does not use the ribbon to fight evil, she just uses it for fun. However, there are rules to using the ribbon. You can't remain in your transformed state for over ten minutes or else you will stay in your transformed state forever, you can't overuse it, and Hime-chan can only have it for a year, which is typical of these kinds of shows. Hime-chan herself is a likable character who isn't whiny or annoying , although her family is more of a "stereotypical magical girl family". Unlike in most other magical girl shows, the family plays a role in this series, and Hime-chan often transforms into her different family members to help them. Pokota is your typical "stern guardian" type, with an annoying voice. Erika and Daichi are a little bland, and Erika's talking broom Chappy (a reference to the old magical girl show Mahoutsukai Chappy) has the dumbest voice ever. As for the animation, it's pretty good for 1993, about the same quality as early Sailor Moon. It's not as bad as the animation in Miracle Girls, though a lot of the characters look nothing like the original Mizusawa Megumi designs for the manga. The color is a bit faded, but I imagine it looked great back in 1993. The OP and ED songs are doinky, though, and prove that SMAP cannot sing! I enjoyed Hime-chan's Ribbon despite some of its flaws. It's a fun, cute series that's worth watching if you like magical girl shows. I look back on it with fondness, and I hope I'll get to see more of it in the future if I can find more episodes of it. Recommended Audience: Well, it was made for 6-12 year old girls who read Ribon, so there isn't much to be offended by in here, unless you're one of those people who thinks anything involving magic is evil. It's pretty much wholesome family entertainment.